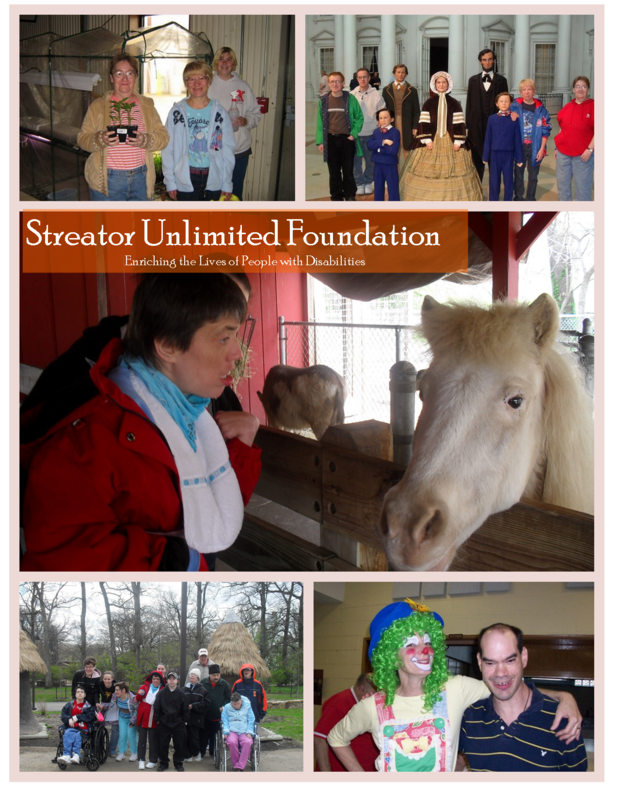 The Streator Unlimited Foundation provides opportunities to Streator Unlimited’s consumers above and beyond everyday needs. Your voluntary contribution makes a huge difference. Please give generously to achieve our annual fund drive goal of $15,000! Good News: We have maintained our dedicated and loyal staff. Keeping good staff means offering stability and understanding for people with disabilities. We have not had any employee layoffs. Bad News: We have not provided any raises for two years, have doubled the employee insurance contribution, reduced the 401k match from 3% to 1%, reduced staff hours (and thus wages), and eliminated our Christmas gift to staff. Good News: Charitable gifts and fundraisers have helped cover expenses in spite of state-funding cuts and late payments. Bad News: The state-funding situation isn’t changing and could be worse next year. The proposed budget includes elimination of all workshop program funding and a 2.5% cut to everything else. The state also plans to wait even 1.5 months longer than they are now to pay us. Good News: We remain committed to our mission of excellence in service to people with disabilities. Bad news: We cannot continue with business as usual. The current economic and state funding conditions have impacted how we provide needed services. We have a growing waiting list for our workshop program. All paid time off for consumers was eliminated. The residential food budget was cut 20%. Recreational and community outings have been sharply curtailed. Good News: Your help is more important than ever! There are many ways you can support our services to people with disabilities: a generous gift to this fund drive, including SU in your will, donating stocks or other property which have appreciated in value. Please support our continued services during this fund drive.